Kahona Beach LLC and Yamilee Bongo v.
Santa Ana Restaurant, 344 Bowery Retail LLC & Robert Lombardi. Our client was being disturbed in her condo unit by music from the restaurant downstairs. 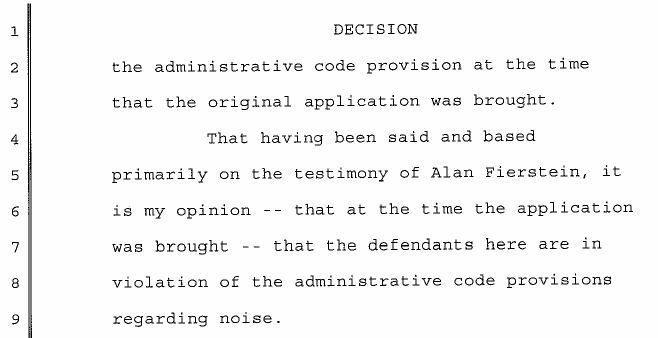 Alan Fierstein of Acoustilog testified that the noise exceeded code limits and demonstrated the sound levels in court. 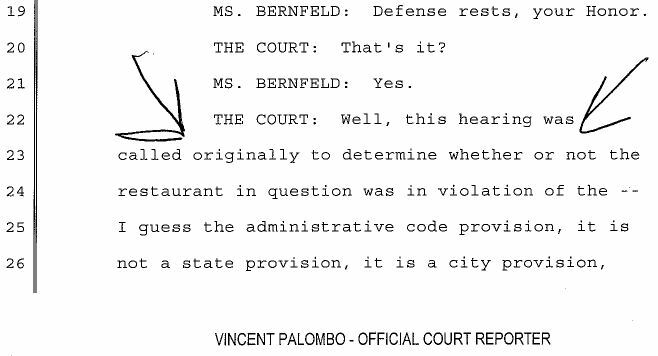 The Court ordered the restaurant to soundproof or face a fine of $1000.00 per occurrence.